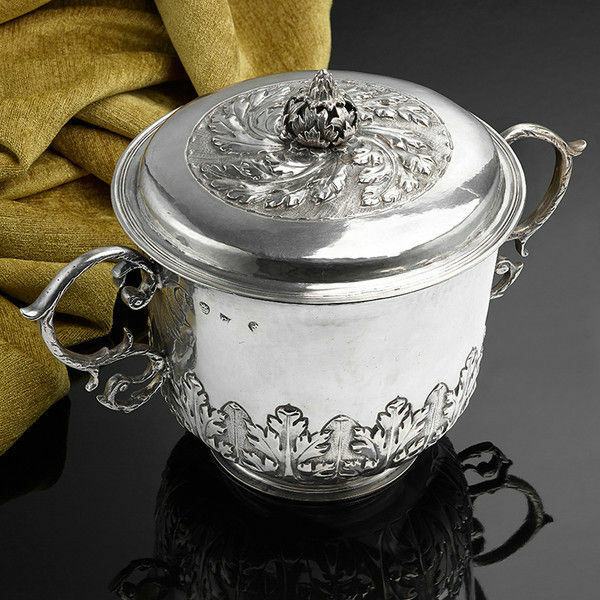 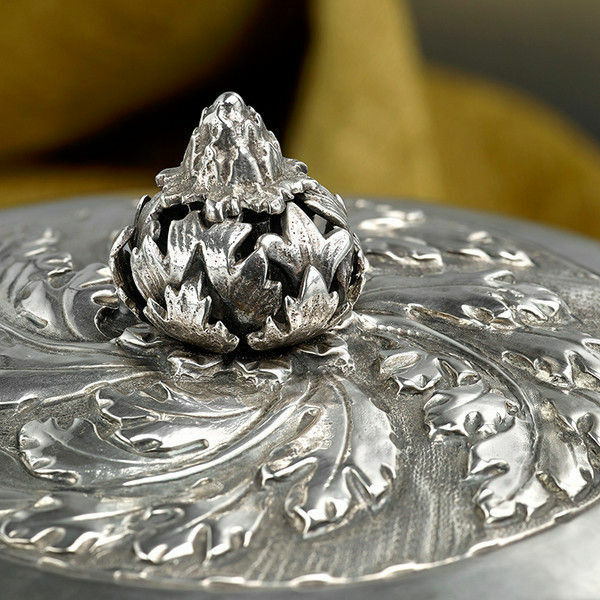 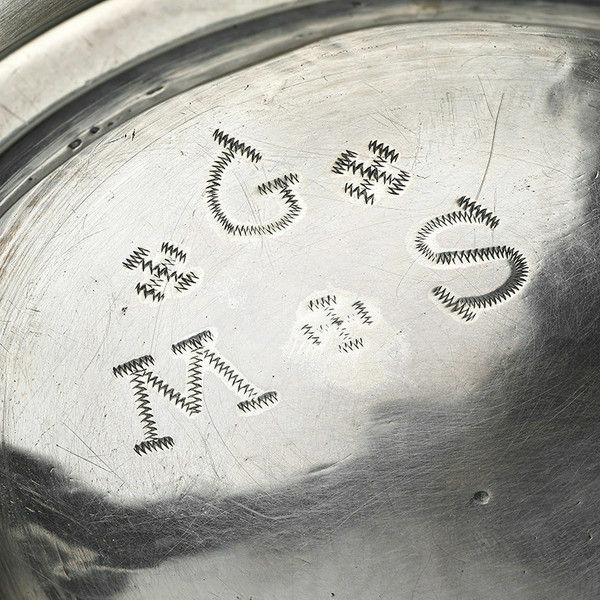 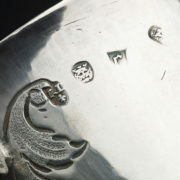 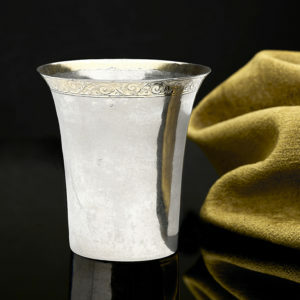 A Large and impressive Charles II Caudle Cup with cover; fully hallmarked on the side of the bowl for London 1680, the maker RD with fluer de lys below see Jacksons page 124. 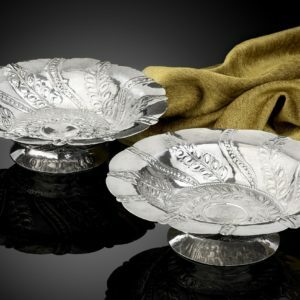 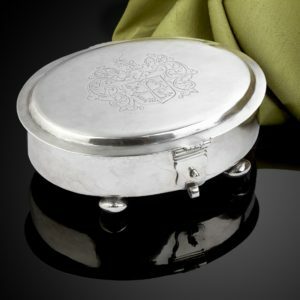 The chased acanthus style decoration on the cover and the lower part of the bowl are typical of this period. There are pinpricked owners initials G over MS underneath the base.